earthdive is a revolutionary new concept in ‘citizen science’ and a global research project for millions of recreational scuba divers. At the heart of this unique research project is the earthdive Global Dive Log created and developed by earthdive in partnership with the United Nations Environment Programme – World Conservation Monitoring Centre (UNEP-WCMC) and marine biologists from all over the world. “The conservation of marine biodiversity is a vital issue of our age. By collecting valuable scientific data, earthdive’s citizen scientists will actually take part in a massive global effort to monitor and help conserve life on this planet”. To encourage divers to act as citizen scientists and record observational data for marine conservation. 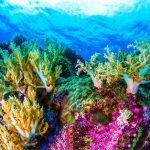 To create a unique petition demanding action to protect the health and diversity of our oceans. To create the first global database of key indicator species recorded and logged by earthdive contributors in the earthdive Global Dive Log. The database will form a unique and evolving Global Snapshot of the world’s oceans. 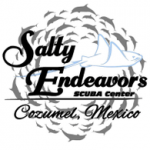 To promote responsible recreational diving through the earthdive Code of Responsible Diving. To provide a network for divers, dive centres and marine conservation organisations around the world. Chris Long is the founder and Director of earthdive. He is an experienced marketing consultant and specialises in cause-related projects. Chris has raised over $50m for more than 20 international and national charities. He is also an experienced scuba diver and underwater videographer. He is passionate about our oceans. Chris has dived all over the world including the Caribbean, Maldives, Sea of Cortez, Mexico, Socorro Islands, the Red Sea, the Daymaniyat islands, Malaysia, Sipadan, Wakatobi, Raja Ampat, the Great Barrier Reef, the Poor Knights islands, New Zealand and South Africa. He founded the concept of earthdive after a dive trip to Mexico’s Yucatan Peninsular in 2003 and following 2 years working with marine scientists all over the world and the United Nations Environment Programme – World Conservation Monitoring Centre, he built this site and database.